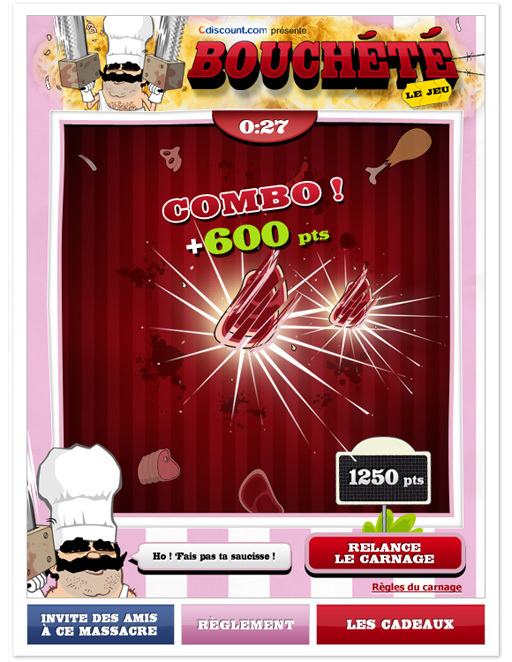 Bouchété is a meat-slicing game (Fruit Ninja-like) created to communicate the big sales operation named ”La grande Boucherie” (“The big Butchery”). 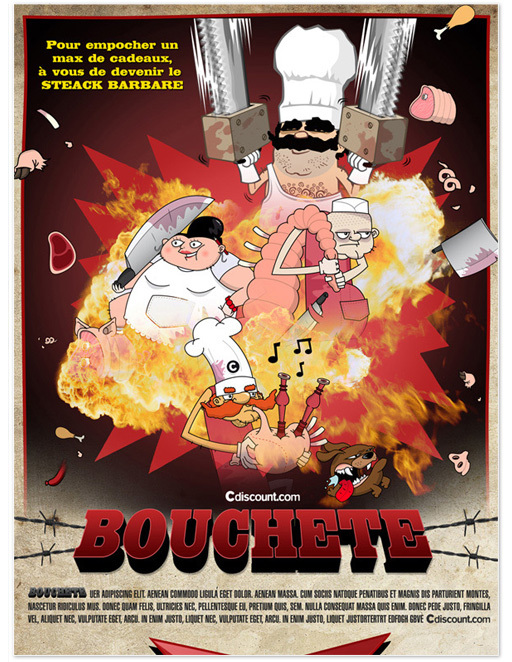 It’s a trash-game, inspired by the Grindhouse movie ”Machete”, from Robert Rodriguez and Ethan Maniquis. 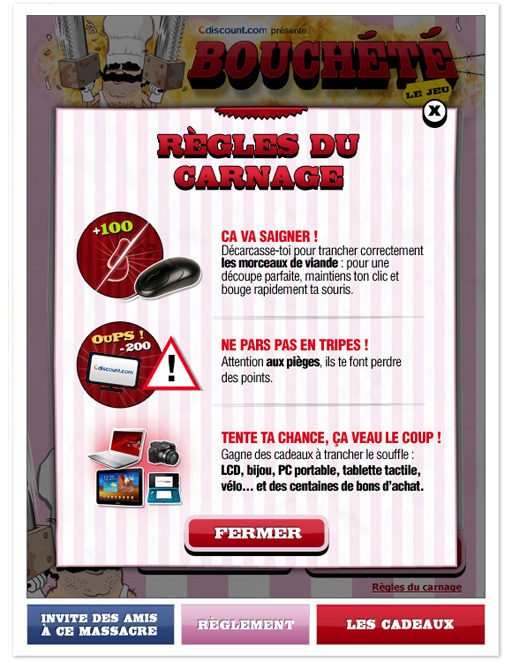 The first goal was to support the discount event named “La Grande Boucherie” (ad campain assisted by a viral video). 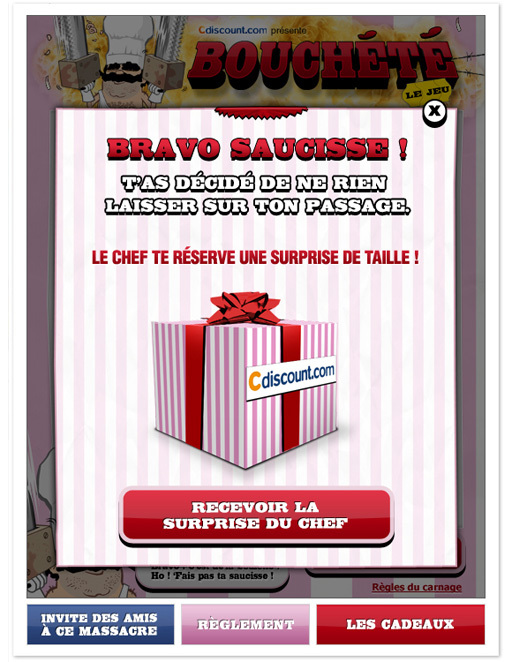 The second goal was to recruite new customers and increase the mailing list database. Catch the client (capture the call for tender). 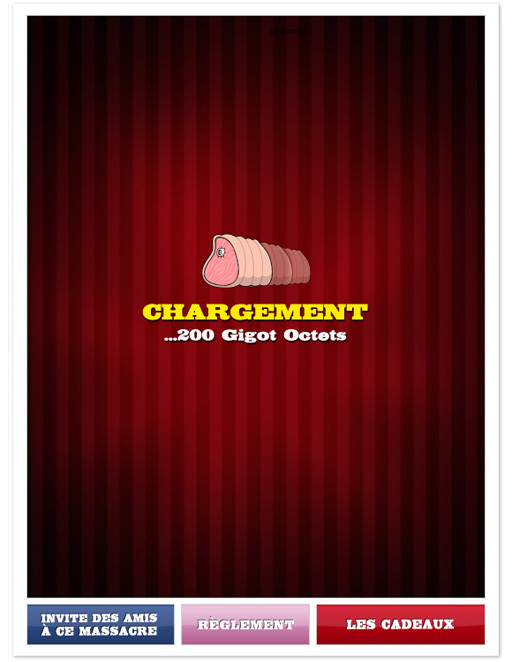 Create a simple and addictive game, mainstream-oriented. Follow-up the technical production (animation & frame-rate quality). Cope with a short deadline and a very low-budget. Conception brainstorming (team working with a copyrighter). This step included univers definition, rules, challenge, mechanics, level-design, functional guidelines. 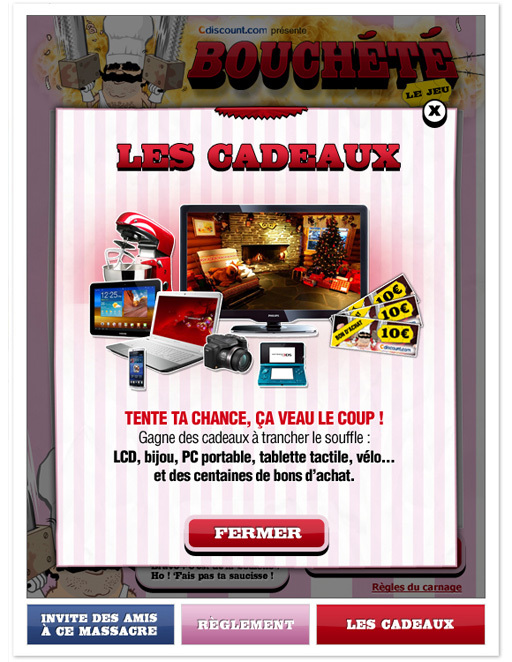 This entry was posted in Digital Art Direction and tagged Bouchété, Cdiscount, Digital, F2P, Facebook, François Soulignac, Free to play, game, Graphic design, Lean management, Lean production, Web Digital Art Direction by François Soulignac. Bookmark the permalink.